When you bring your pet to our pet boarding kennels you are making a great choice! Our pet boarding kennels are surrounded by 4 beautiful acres in the country. Unlike other boarding kennels, we don’t have any strict check out times. Many kennels in Tampa will require you pay for an entire extra day if you check out after noon. Not so at Part of the Family Kennels! Pick your pet up any time during regular business hours and you will not be charged for another day. Plus – all guests who stay more than 2 or more days receive a complimentary bath on their day of departure. Discounts are available for pets who stay longer than 2 weeks! Give us a call to discuss. With plenty of sun, shade and room to play, your pet will feel like she is the one on vacation! 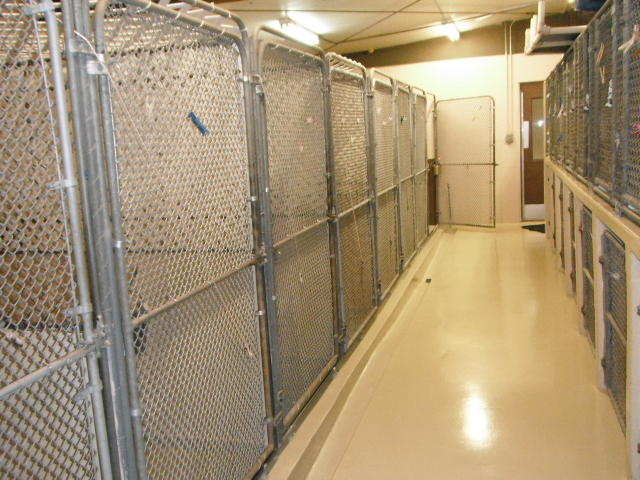 Our indoor kennels are sparkling clean and provide ample room for your dog to nap, eat or gnaw on a favorite chew. Your pet will enjoy playtime twice a day in our large outdoor grassy runs and get lots of TLC. Shaded outdoor runs used during their break period, your pet can relax and enjoy his stay. Our experienced staff will give your pet lots of human attention so he will always feel right at home. Yes, we can board your cat at our pet boarding kennel too! 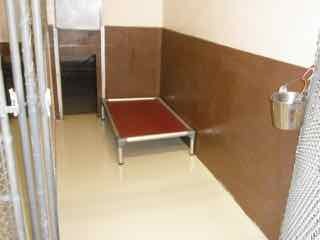 Your cat will stay in their own private cage in our special cat room, well away from the dog boarding kennels. Each day your cat will get to spend time in our special play area designed just for cats. It includes a window view to the outside with a ledge to lie on, kitty toys to play with, a scratching post and different levels to jump around on. Our schedule maintains frequent visits to the cat room for cuddling, treats, and socializing so your pet will never feel alone. We strongly recommend that you bring your pet’s food. An abrupt change in diet can cause diarrhea and even make your pet sick. Please feel free to bring your pet’s favorite toys, blankets, and treats too, as long as they don’t chew fabric! If they chew fabric at all, please do not bring anything cloth. The health of your pet is most important to us and we do not want to risk them chewing and swallowing anything fabric as that can be a big health hazard. We will be sure that your pet and his kennel are kept clean, always has fresh water, and we can feed your pet their own food and any special treats you would like to bring along. We will administer your pet’s medication including insulin shots, heart worm preventatives and any supplements that you provide. Unlike many other dog boarding kennels, we do not charge extra to administer your pet’s medications. For dogs, the vaccinations required include the Distemper/Parvo combo vaccine and Rabies. The Bordetella (kennel cough) vaccine is optional and is up to you. Keep in mind the bordetella vaccine may not prevent your dog from catching bordetella no matter when it was given as the vaccine only protects against the most common strains and it can take up to 3 weeks after getting vaccinated before your dog builds up sufficient immunity to protect it. *** If you do decide to get the bordetella vaccine you must get it at least 7 days before you plan to board your dog. After getting the vaccine your dog will continue to shed the virus for up to 7 days and can infect other dogs, even those dogs who have been vaccinated. If you get the bordetella vaccine within a week of wanting to board we cannot accept your dog. For cats vaccinations required include Rabies, Feline Leukemia and FVRCP. Please call or email us if you have any questions about boarding your cat at our pet boarding facility. We cannot board a pet without the required vaccinations and it is recommended that all these shots be given at least 2 weeks before boarding. Your dog must have had a negative heartworm test and be on a monthly heart worm product. Your pet must be current with a flea AND tick control product. Trifexis, Comfortis and some other products do not treat for ticks. We have Frontline, Advantix or Preventic tick collars (good for 4 months) available to treat your pet at check-in if you do not have a tick control product. Part of the Family Kennels has a stellar reputation, see for yourself and browse through our testimonials and reviews on Google+! You are also welcome to call us with questions or drop by for a visit and see for yourself. You and your pet are always welcome at Part of the Family Kennels!